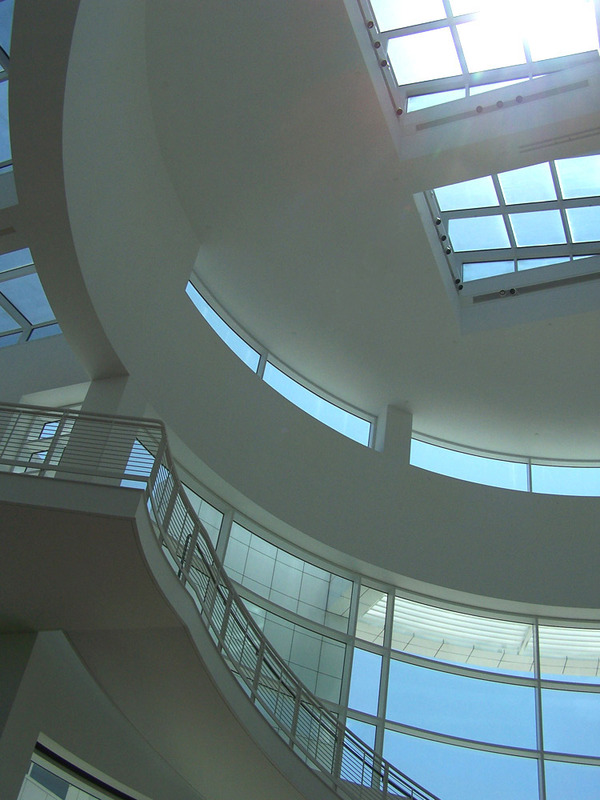 The J. Paul Getty Center in Los Angeles without doubt blurs the lines of art and architecture. 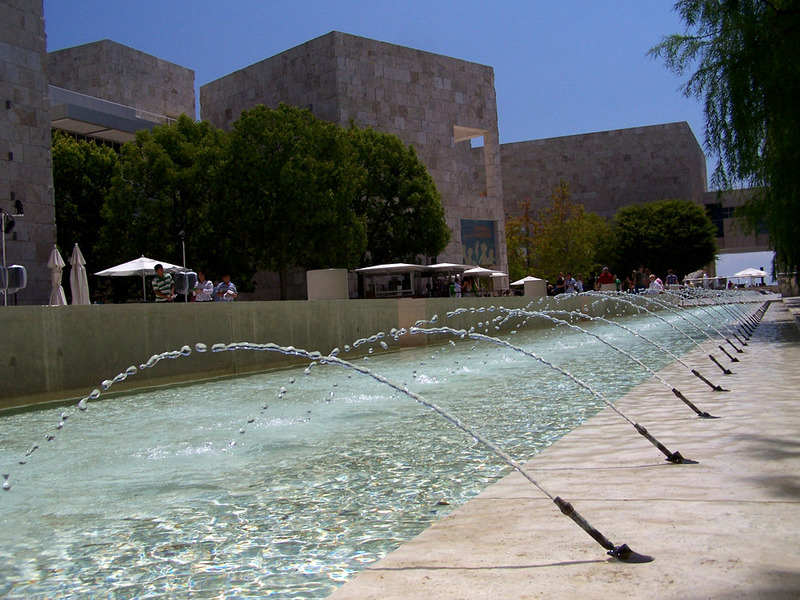 In a city oft referred to for its lack of culture, the Getty is home to one of the world’s greatest free collections of art. 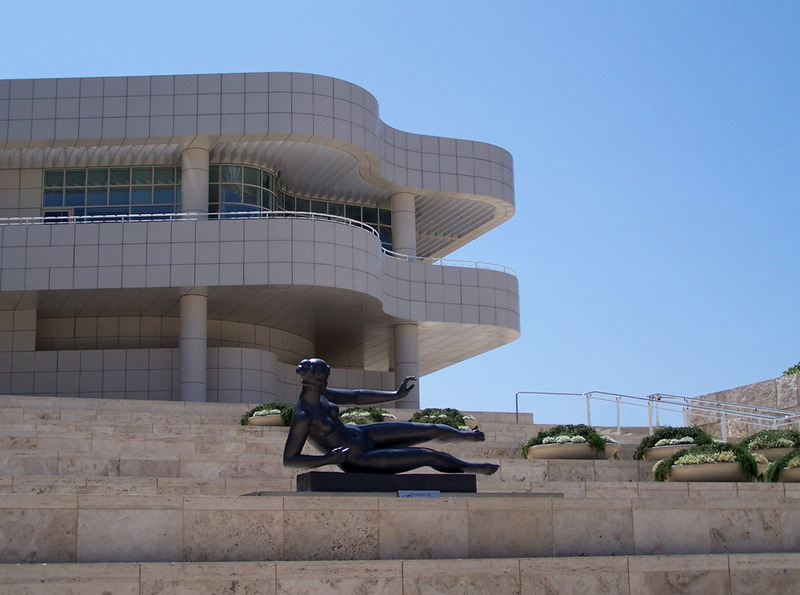 The Getty Center is the vision of oil millionaire Jean Paul Getty. 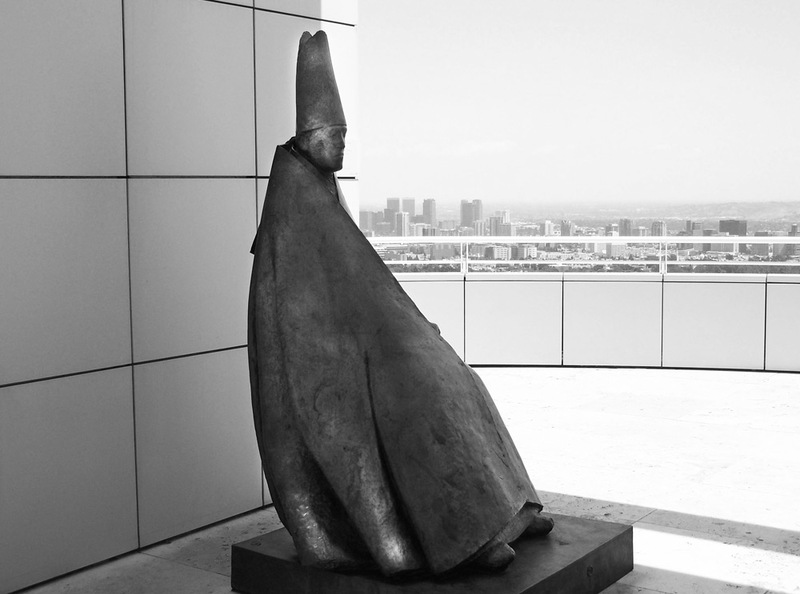 It started with his private collection of art that was continually expanded on by his trust following his death in 1976. 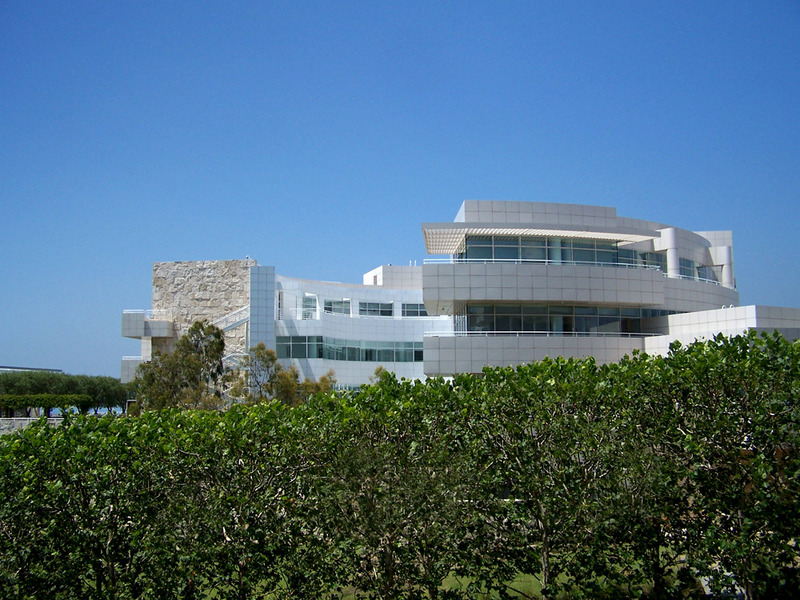 The Getty Center opened at the end of 1997. 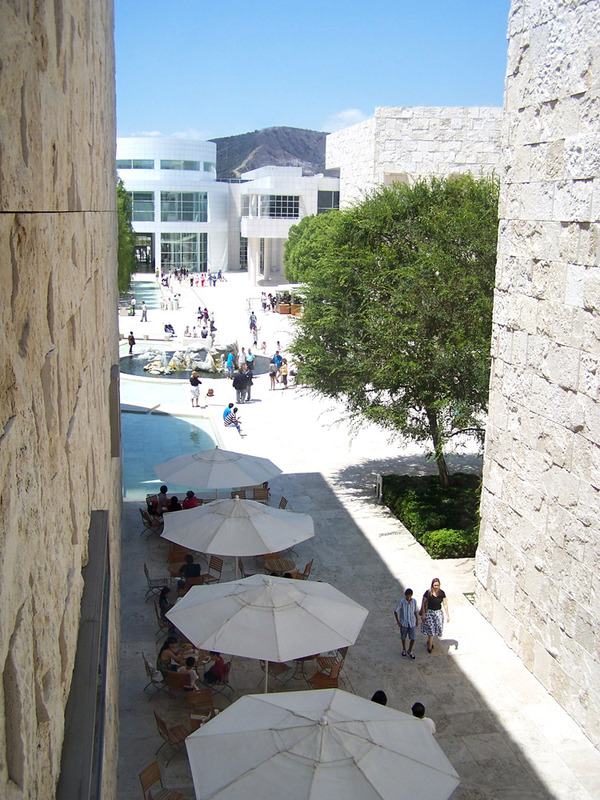 Importantly, the Getty Center is free to visit. Keeping alive Getty’s original vision of sharing his wealth. Trekking in from a downtown LA hotel, it took two public transit buses to get there, but took in the leafy neighbourhoods of Bel Air, Brentwood and Beverley Hills. 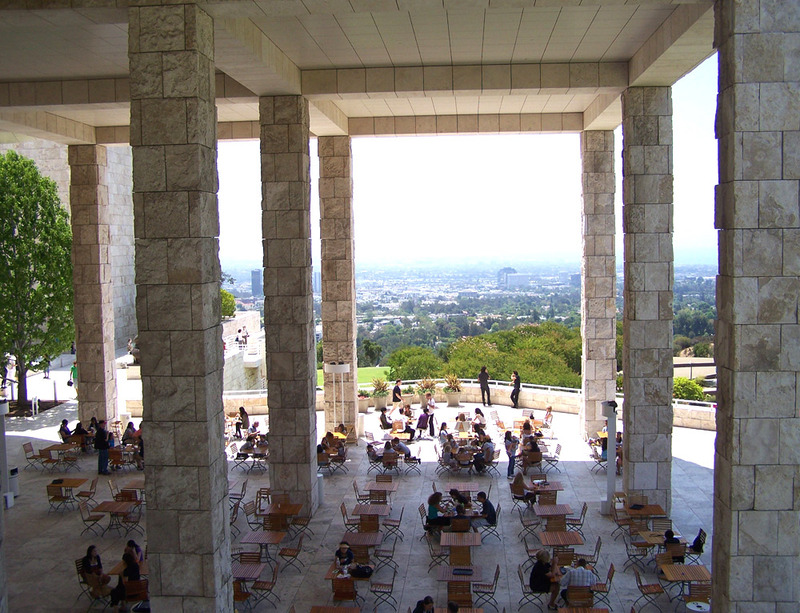 Visitors are transported up to the museum by a short 5 minute driverless monorail system that only adds to the anticipation. When you arrive you a greeted with a pristine landscape of sandstone, travertine marble, white clean line curved buildings and sparking blue fountains. 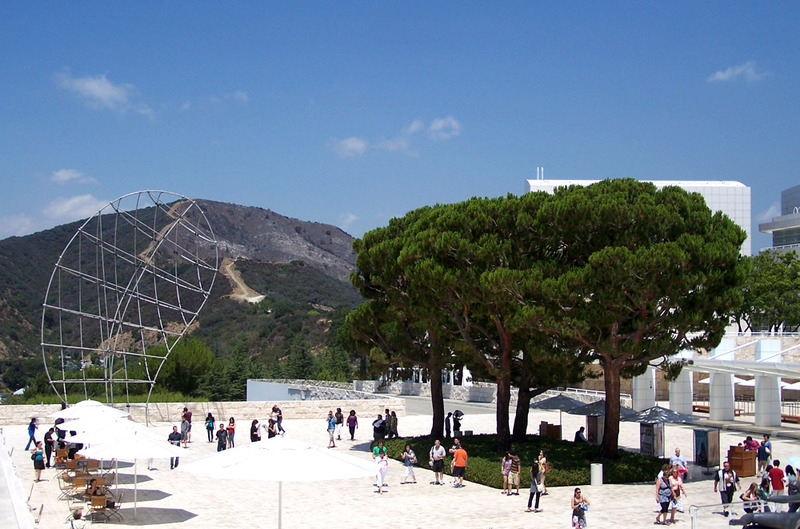 On a clear smog free day, the mountain top view of the Getty Center offers the best panoramic look of the city of Los Angeles. 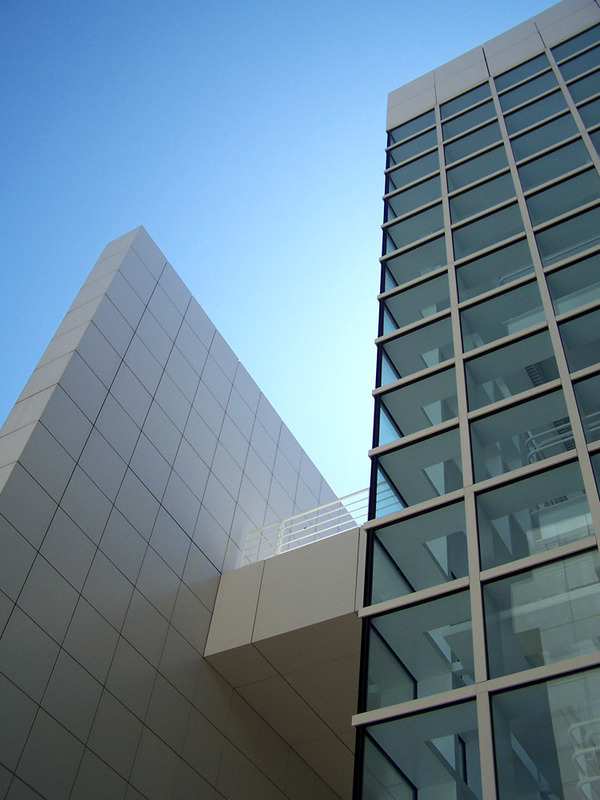 The entire museum landscape is made of a grid structure of 30-inch (760 mm) squares. Most wall and floor elements are 30-inch (760 mm) squares. 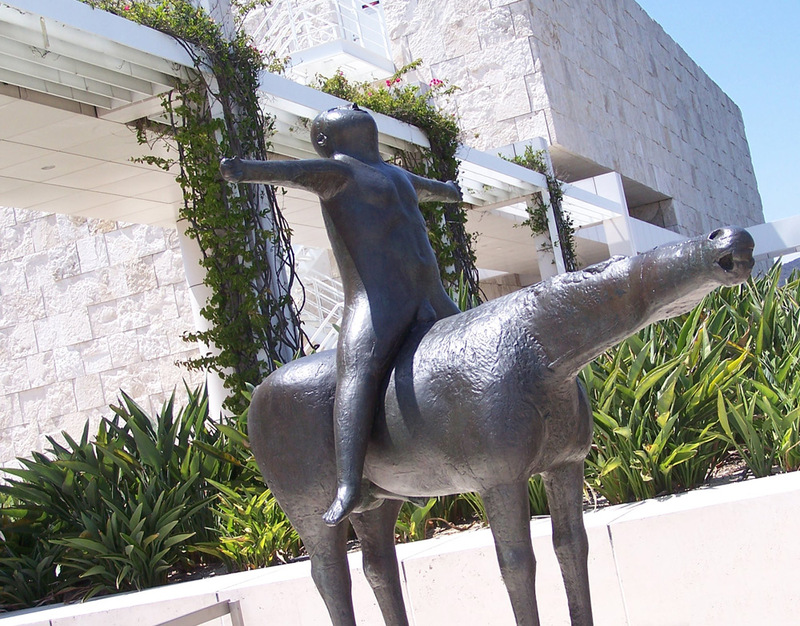 An array of outdoor bronze and lead sculptures scatter the gardens and courtyards. 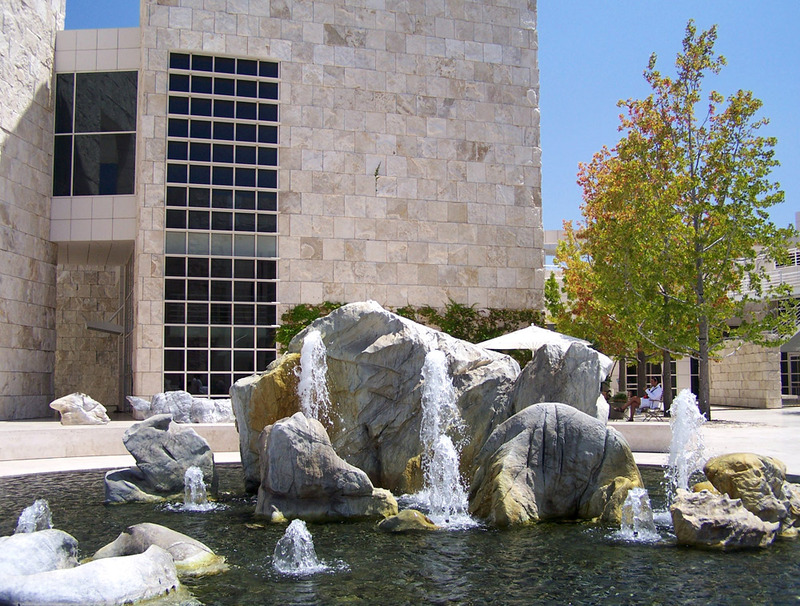 The Getty Center houses many works of art with the most famous being Van Gogh’s ‘Irises’. 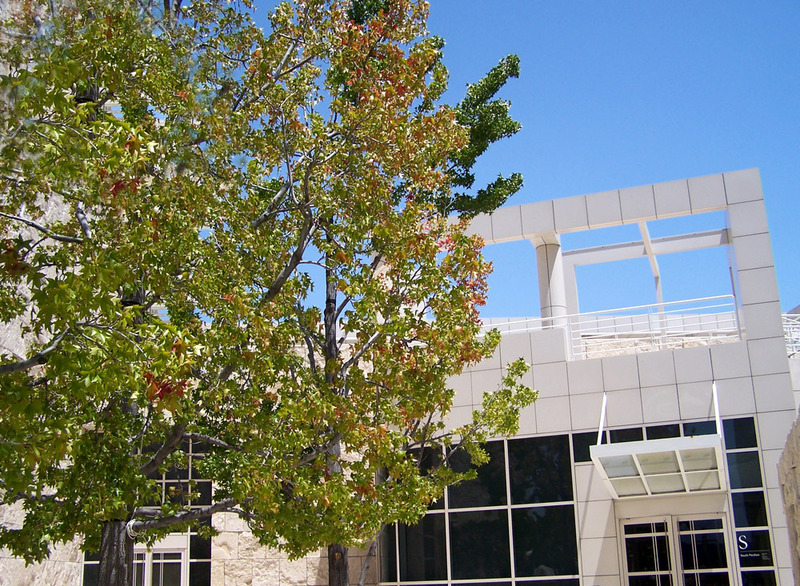 Other artists featured include: Edgar Degas, Claude Monet, Paul Cezanne, Edouard Manet, and Pierre-Auguste Renoir. 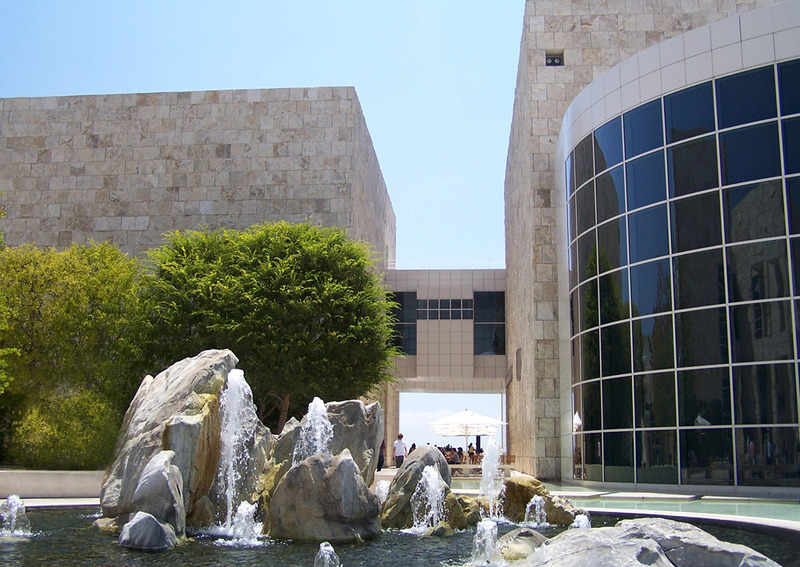 The collection is also heavy on Greek and Roman antiquities, European paintings, drawings, sculpture and furniture. At the time (August 2009) there was a special exhibition of the hand painted King James Bible. 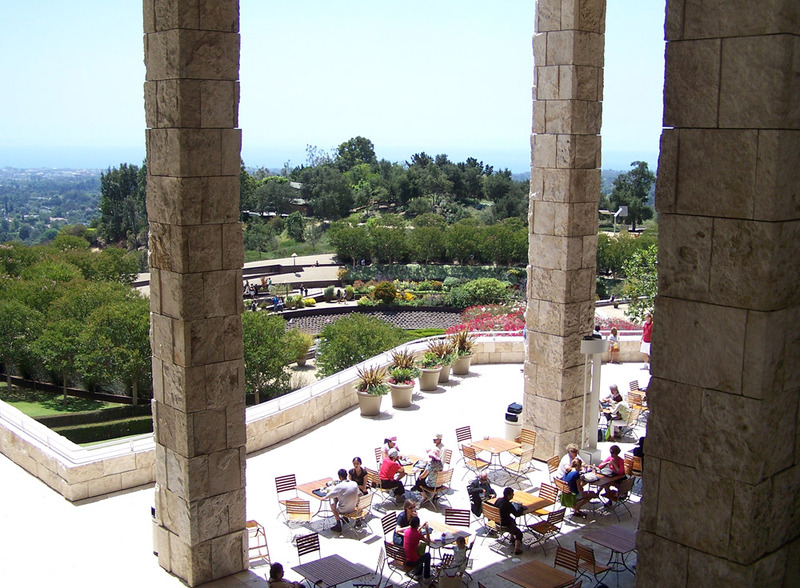 The lush green landscaping of the Getty Center is so beautiful it deserves a post all of its own. 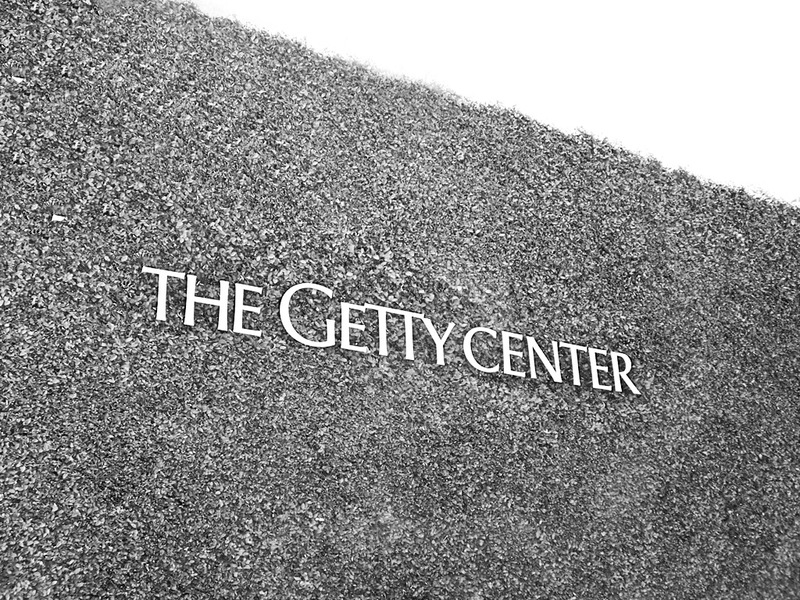 The next photography blog post will be on the gardens of the Getty Center. Stay tuned. Click on each image to view a high res version.